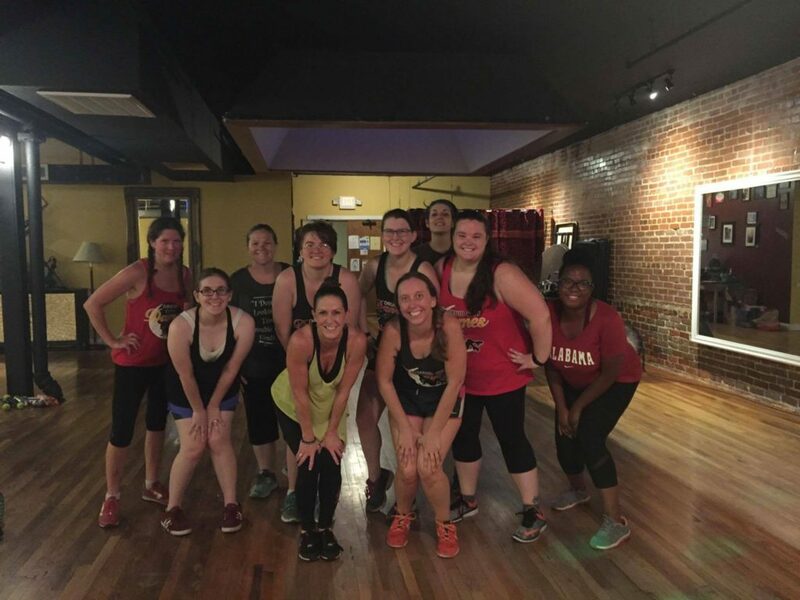 Attending Zumba with Latrelle And Keith has become a DCD rite of passage. Scarla O’Terra introduced DCD to this form of cross training, and the team has never looked back. We appreciate the help with endurance and footwork, and the overall sense of community that Latrelle and Keith provide! 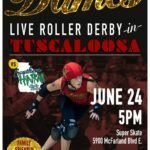 The Druid City Dames are looking for new skaters, referees, and non skating officials! 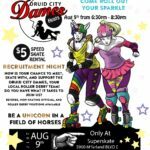 Join us on August 9th, 2017 to see what roller derby is all about! Thank you everyone who came to recruitment night! 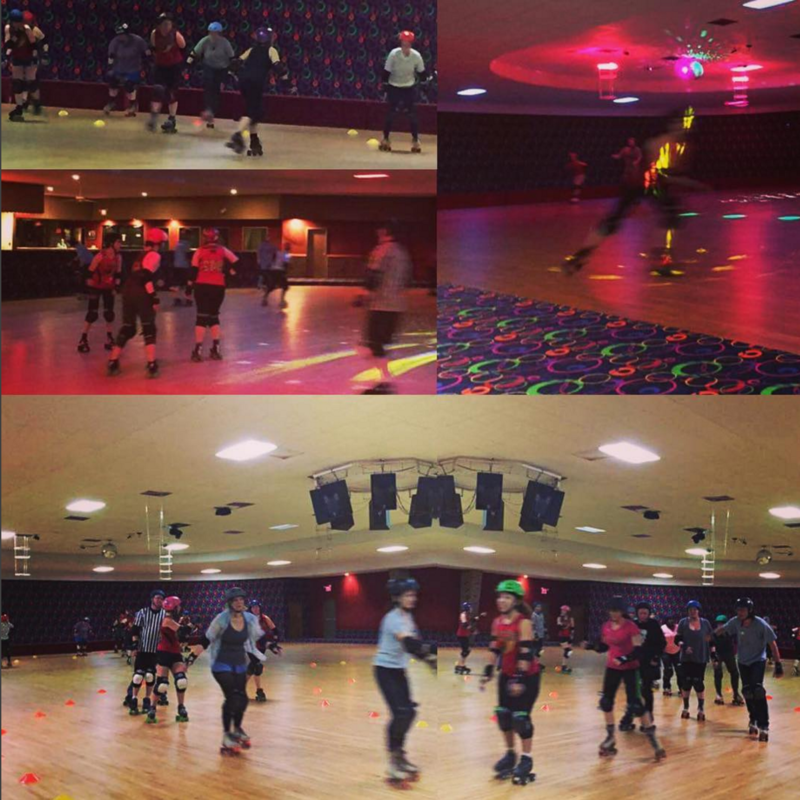 We had a fabulous Turn out and can’t want to see you all again on Wednesday 2/15 at Super Skate! Missed out on our recruitment night? No problem, head to Super Skate at 6:30 on 2/25/17! Have questions? Visit the CONTACT US tab and send us a message! We are having an open Recruitment night at Super Skate on Monday February 13th, 2017 from 6:30pm to 8:30pm. scrimmage at the end of the session. 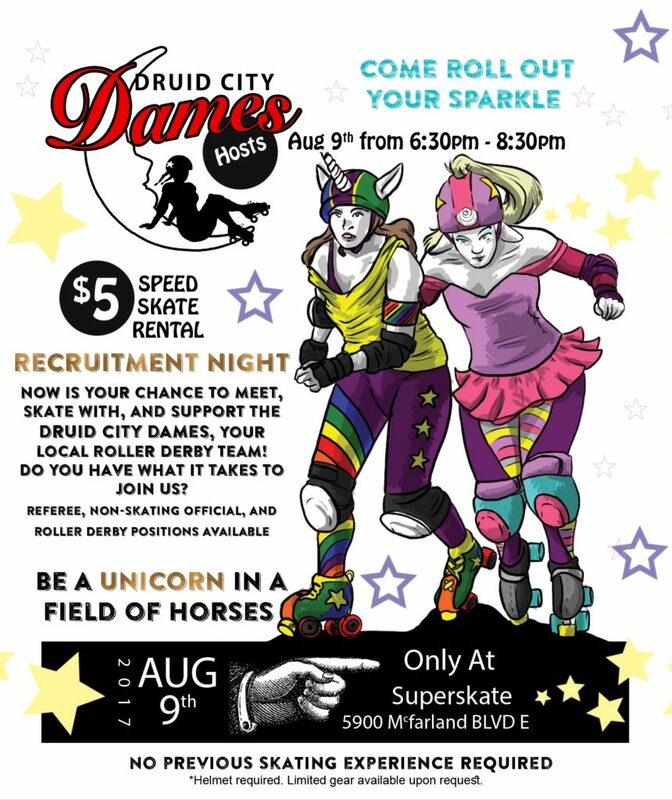 We will pair you up with a Derby girl who is ready to show you the ropes! Interested in becoming a Ref, NSO (non-skaing official) or Volunteering with the dames? That’s great! We will have Refs, NSO’s and Volunteers, ready to instruct you! ❤️ Admission is Free and only for Adults (19+) only. ❤️ Skate rentals from Super Skate are $5 (cash only). ❤️ DCD will provide all safety gear including free mouth guard. ❤️ No Skating experience is required, we accept all skill levels. For more info, check into our Facebook Event Page. Go Roller Skating with DCD!!! It’s the end of the derby season and we want to celebrate it with you! Come by and skate with your favorite rollers on November 16th from 7-8 p.m. for only the cost of rental skates ($5)! If you have skates there is no charge ($0). We know you’ve been waiting to dust off the ol’ quads and roll with us… now’s your chance! No experience necessary. 16+ please. REMEMBER, REMEMBER THE 5TH OF NOVEMBER, … your local Rebel Army Derby girls last bout of the season and they will be going skate to skate against DCD, the lovely Druid City Dames out of Tuscaloosa. As usual there will be vendors with lots of fun stuff for purchase, music, food, refreshments, awesome prize baskets up for raffle again and lots of roller derby action! 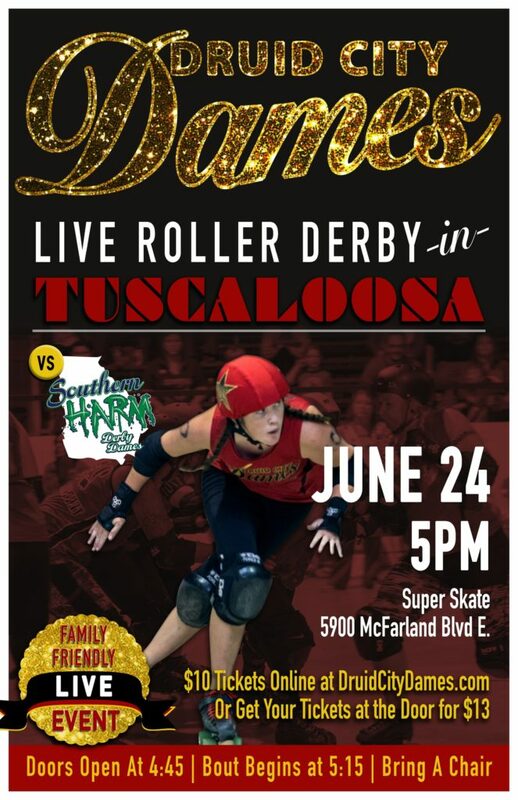 So mark your calanders, grab some friends, warm up your rebel roar and join the crowd at the “Rebel Ranch” to help cheer on your roller girls to another victory! Make sure to “like” the Rebel Army Derby FB page and check back here so you dont miss more event details and updates as they come. Tickets available at brown paper tickets, link included on page, and at the door the day of the event. If you have any questions please send a private message or you can call the RAD hot line and leave a voice message @(601) 795-ARMY(9371) and a rebel will get back to you as quickly as possible. 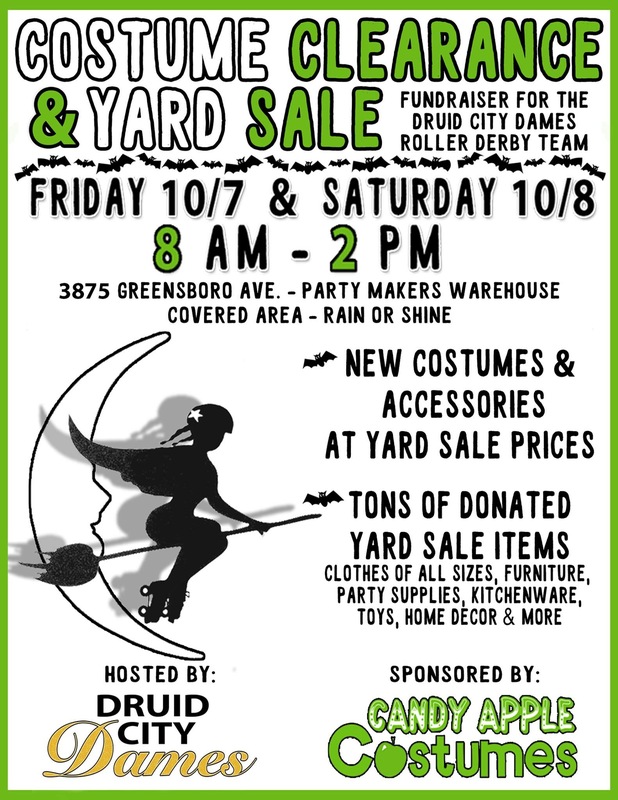 Our spookiest sponsor Party Makers Warehouse (Candy Apple Costumes ) has donated a huge selection of costumes and accessories to the Druid City Dames Roller Derby Team to sell at closeout prices! Hundreds of new items up to 90% off retail price! This huge yard sale also includes donated items from across the area including clothes (lots of plus size & baby clothes), decor, kitchenware, furniture, records, toys and so much more. 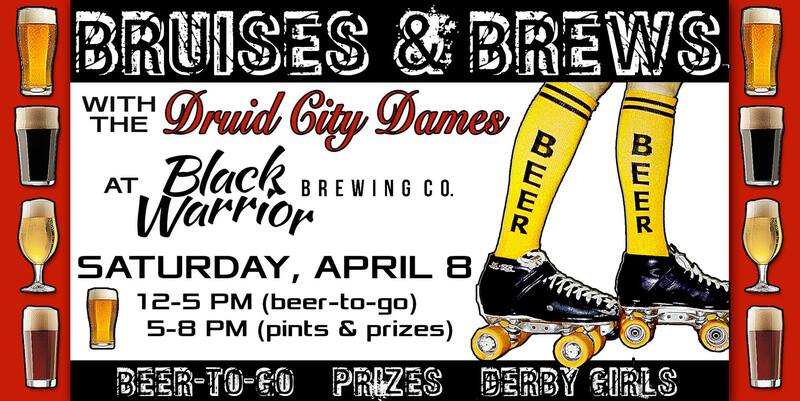 Proceeds benefit the Druid City Dames Roller Derby Team. Sponsored by Party Makers, Inc. If you are interested in donating some items to us to sell send us a message or post! Sale Starts October 7th at 7am!!! Come early before they sell out! We had a wonderful Turn out on Wednesday! We are happy to welcome out new members! 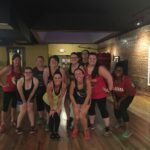 Missed practice night? 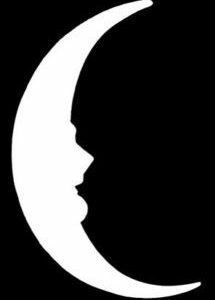 We are having a newbie meet up Sunday (8/28) at 3PM at Druid City Brewing where we will let you know everything you need to get started.